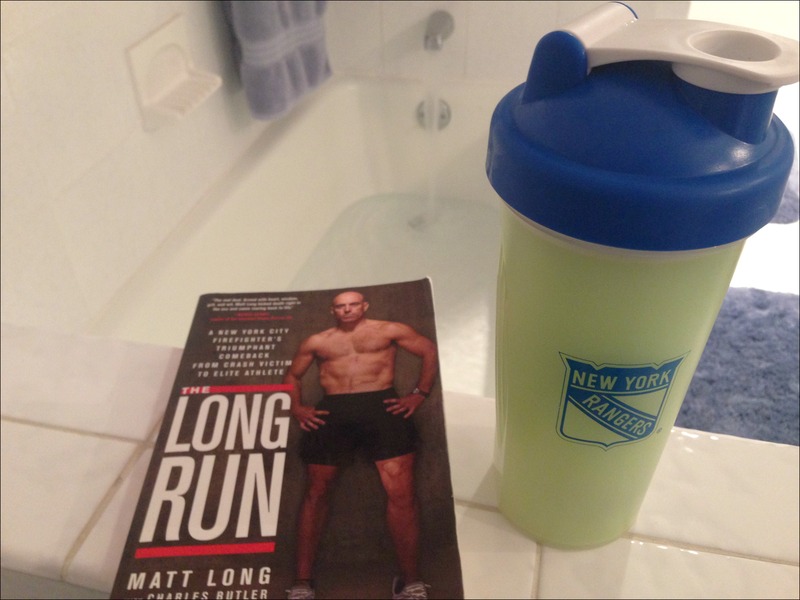 Since I’ve gotten a lot of comments about taking ice baths on some of my recent posts I thought why not share a quick “how-to” on preparing and taking an ice bath! While the research on the benefits of ice baths for athletes is unclear at best, it is believed that taking an ice bath may constrict blood vessels, flush waste products and reduce swelling and tissue breakdown (Source: Active.com – 8 Ice Bath Dos and Don’ts). So, if you’re up for the challenge of plunging yourself into a bathtub full of ice, here’s what I do to make the experience as pleasant as possible! 2. Bundle up & bring distractions! Just because the bottom half of you is submerged in ice doesn’t mean the top half of you needs to be cold too! I usually put on a hooded sweatshirt and sometimes even make a mug of tea for my ice bath! Distractions are one of the keys to the ice bath! I’ll usually grab a book or bring my phone (which I’m sure I’ll regret the day I end up dropping it in the tub!) hoping that they’ll help me forget about the mini polar plunge my legs are taking! I re-read this book every round of marathon training! 3. Fill tub with cool water. Yes, you read that right. Get in the tub BEFORE you put the ice in! I have to give credit to my running friend Christine for this tip, but getting in and adjusting to the already cold water without the ice really makes the whole thing MUCH more bearable! 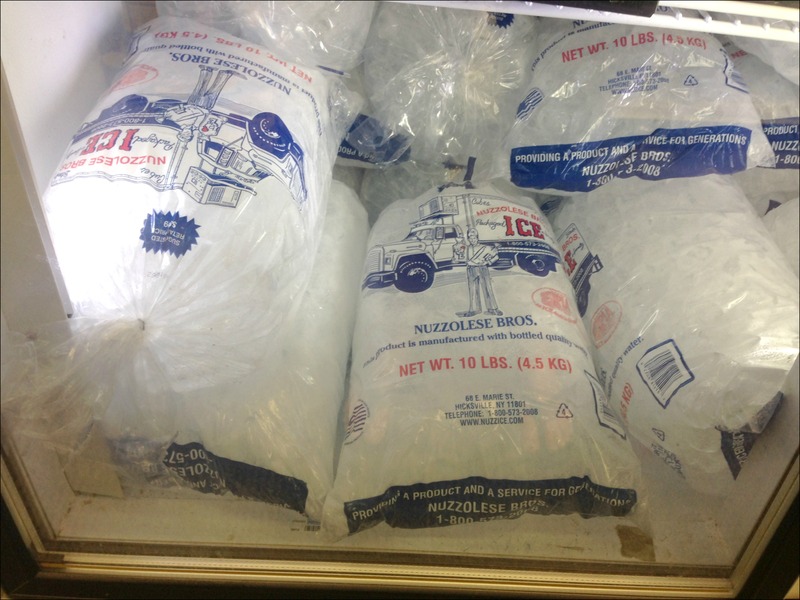 And, once you’re feeling pretty comfy sitting there in that cold water (which really doesn’t feel all that cold any more…), IT’S ICE TIME! 6. Soak for 6-8 minutes! Before jumping right into a warm shower it helps to let your legs adjust and come back to “room temperature” before shocking them with hot water! I usually dry off, throw on some sweatpants, have a recovery drink or a snack and then jump in the shower. Love ’em or hate ’em, ice baths are definitely a personal preference, but I really do think that they help with my quick long run & race recovery! Do you take ice baths for recovery? Disclaimer: Please note that I am not a health professional, only a yoga teacher and fellow runner sharing recovery tips that have worked for me! Please consider your own health circumstances before taking an ice bath and consult with your doctor if necessary! If only I had a bathtub… This is totally not what I would be using it for, who am I kidding. Ha! Loved this comment, too funny! No problem! Glad to hear the ice baths have been helping you, I know they really help me, but everyone needs to find what works best for their body! 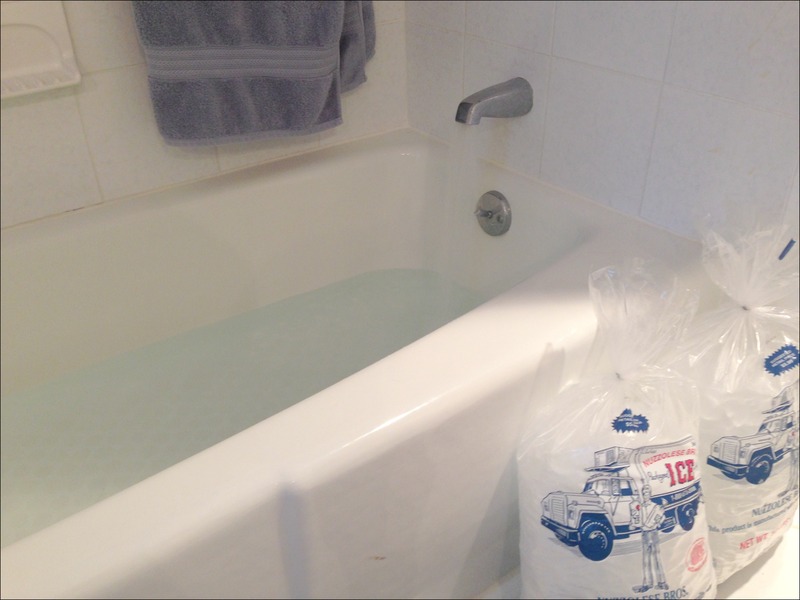 I haven’t started ice baths…I do usually take a regular bath after long runs with epsom salts. It feels good to just sit and be for a while. I actually used to do epsom salt baths too, I kinda forgot about them once I started doing the ice baths. Thanks for the reminder! Oh I’m getting cold just reading this. I like the idea of a hot beverage, I’ll have to try that the next time I gather my courage and plunge in. Haha, yeah, I feel like it kinda tricks your mind if the top half of you is warm and you’re drinking something warm! I’ve always wondered about the elusive ice bath, haha…and have definitely heard/read the “controversy” about it. But I figure, if it works for you, then go for it! Whatever makes you feel better after running 18 or 20 or 22 miles, right? 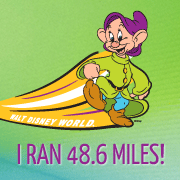 It’s something I do plan to try…I figure this Dopey training plan is going to demand it, haha. Will definitely be keeping your tips in mind! I like your process. Not that I would do it, but it would make sitting in freezing cold water easier. I usually stay in my ice bath for 20 minutes and I really need to let my legs warm naturally, but the lure of getting it all over with and being clean and dry is too tempting! I may or may not have been known to get in the ice bath with my running pants still on! That was a tip I got from a friend. It actually helps. Oh and I wear socks too!